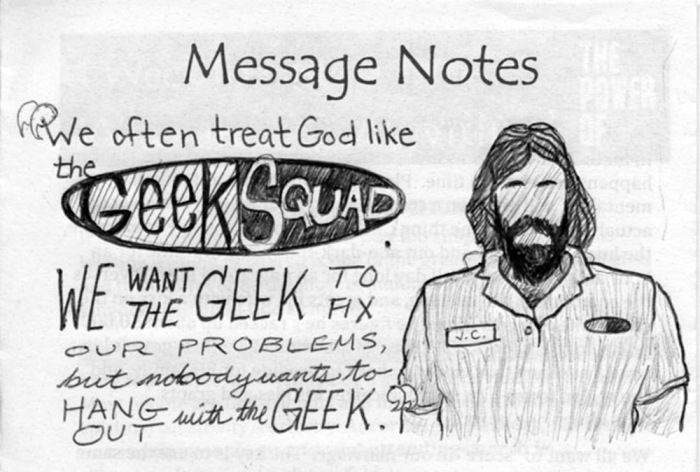 Reddit user deadlybydsgn posted this image yesterday, titled "Sermon doodle; We treat God like the Geek Squad." At first, viewers might be offended by likening the Creator of the universe to a teenage help desk trainee who may or may not have acne. However, as you ponder the stylish illustration and its message, it rings unfortunately true.